The 2018 Wilbur Cross Medalists are (seated, from left) Tan Eng Chye, Marianne Mithun, Kelsey Martin, and Elizabeth Easton. Standing behind them are (from left) Peter Salovey, Yale president; Lynn Cooley, dean of the Graduate School of Arts & Sciences; and Anna Barry, chair of the Graduate School Alumni Association. Courtesy of the Yale University Graduate School Alumni Association. Courtesy of the Yale University Graduate School Alumni Association. Elizabeth (Buffy) Easton, Director and Co-founder of the Center for Curatorial Leadership (CCL), has been awarded the Wilbur Cross Medal—the highest honor accorded to alumni of Yale University's Graduate School. The award recognizes Easton's contributions as an art historian, curator, and co-founder, with Agnes Gund, of the Center for Curatorial Leadership in 2007. Over the last decade, Easton has led CCL's vision to prepare curators for roles of greater leadership and empower them to creatively address the changing issues in the field. "Through her work as CCL’s director," said Ms. Gund, Chair and Co-founder, "Buffy has empowered hundreds of emerging and established curators to recognize their potential to effect change, define their personal values, and carry out robust and civically-minded organizational visions." 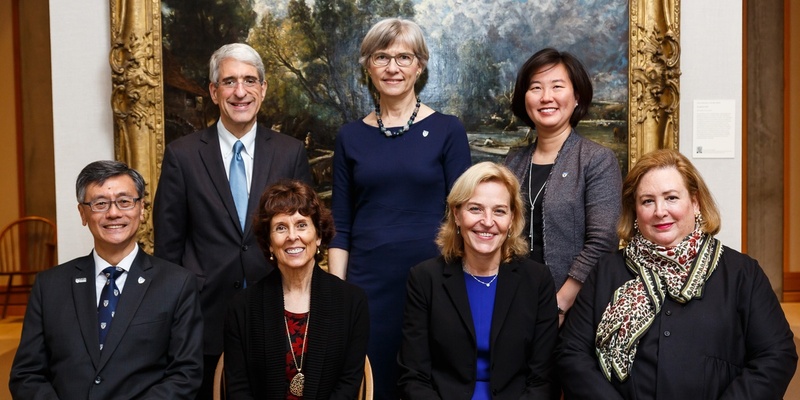 Lynn Cooley, dean of Yale’s Graduate School of Arts and Sciences, congratulated this year's medalists in YaleNews, celebrating their "common thread of unstinting, continuing effort to advance not merely their own positions and careers, but also to selflessly share their knowledge with others to the benefit of us all." Easton joined her three fellow medalists in New Haven in October, where they were honored during a gala dinner in the company of university leadership, colleagues, family, and friends. In receiving her medal, Easton was recognized for the ways in which CCL "is addressing the need for more equity, access, and inclusion, as well as creating a sense of community and collection sharing amongst curatorial and museum leadership." 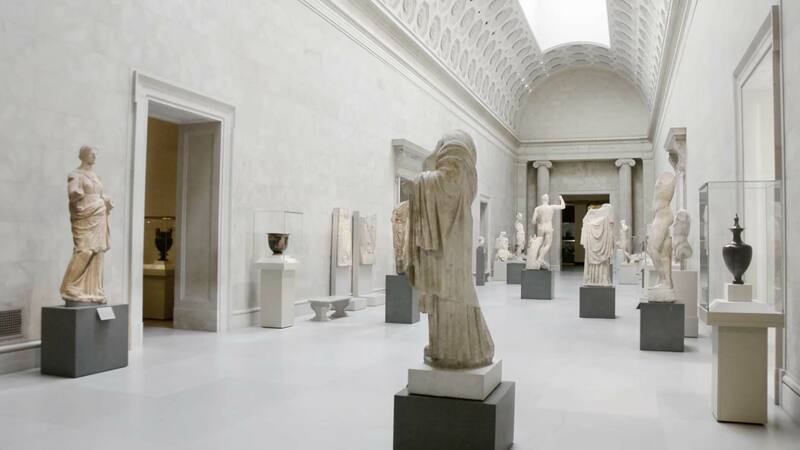 In her presentation "A Life in Art History, a Conversation" for Yale faculty, alumni, and the student body, Easton shared her insights on the professional trajectories of curators and art historians and the opportunities afforded within art museums. On behalf of the Center for Curatorial Leadership, its trustees, and its alumni, we wish to extend our most sincere congratulations to Buffy on this extraordinary recognition.